Rescuing animals Pakistan is not an animal-oriented country which is why rescuing animals and providing them with appropriate shelters add to the woes of animals rights’ activists. “When people tell us about an injured animal, we usually request volunteers or private veterinary doctors in the city to help rescue it. Once the animal has recovered, we try to find a home for it, so that the clinics continue to have space to help more animals in need. If no home is found, then that leaves us with no option but to leave the animal back where we found it,” said Omar of PAWS. Renowned philanthropist and social worker, Abdul Sattar Edhi runs one of the biggest animal shelters in the country, which is located in the outskirts of Karachi. The shelter covers an area of four acres but is unable to provide proper treatment to the injured animals because veterinary doctors find the place ‘too far away for their comfort’. The so-called ‘animal lovers’, who generally belong to the elite section of the society, consider pets a status symbol. The more dogs one has, the richer he/she is. “We get requests from the ‘rich communities’ to take animals away every single day. Some time these animals are only a day or two old so we refuse to take them away because a suckling needs its mother. Anyone who has basic sense would know that a day old kittens and puppies are unable to survive on their own, without their mother,” Kazmi said. Pedigreed adoptions Many people who appreciate animals are very particular about well-bred, pedigreed animals. However, if everyone will adopt only a pedigreed animal then who will look after all the strays that die or get killed everyday on the streets. PAWS, who give away the rescued animals for adoption, say the most frequently asked question is that about the animal’s breed. “People demand Persians, Siamese, German Shepherds, Boxers, Pitt Bulls and other ‘good breeds’. But what about the all the strays? Don’t they deserve our love and affection? Should we not open our hearts and minds to them as well?” said PAWS’ Omar. 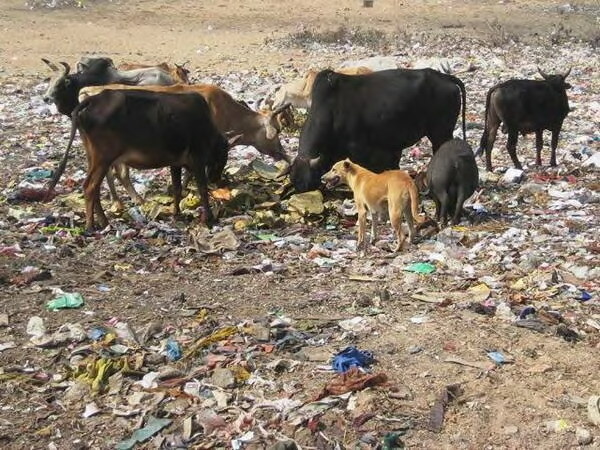 Stray eradication Various municipal bodies eradicate stray animals by poisoning or shooting them, which is not only expensive but also inhumane. The best way to limit their population growth is to ensure that the streets are clean and garbage heaps are removed daily. Moreover, catching strays and spaying or neutering them is the only ‘humane’ course of action to adopt, in order to stop them from multiplying at a rapid rate. The government should collaborate with various animal welfare societies in order to bring about an end to animal abuse to foster a better and kind society. Animals are meant to be loved regardless of their respective breeds and people who love animals are the only hope to provide the strays with refuge and affection that they particularly deserve. Faiza Mirza is a reporter at Dawn.com.